With thousands of islands in Indonesia there is an exhaustive number of dishes, with some taking their cues from nearby cultures such as Middle Eastern, Chinese, Indian and Polynesian. One thing they all have in common is the use of fresh spices and herbs resulting in vibrant and intense flavours. If you have a sweet tooth, you will love the wide variety of delicious sweets, cakes and puddings. One of the most popular snacks in Indonesia, sate is sold everywhere. On virtually every street corner a street vendor will be grilling marinated skewers of meat on a grill or hot coals. When cooked to perfection, they are served hot with a delicious peanut sauce. The meat can be lamb, chicken, pork, beef, minced meat or even minced fish. 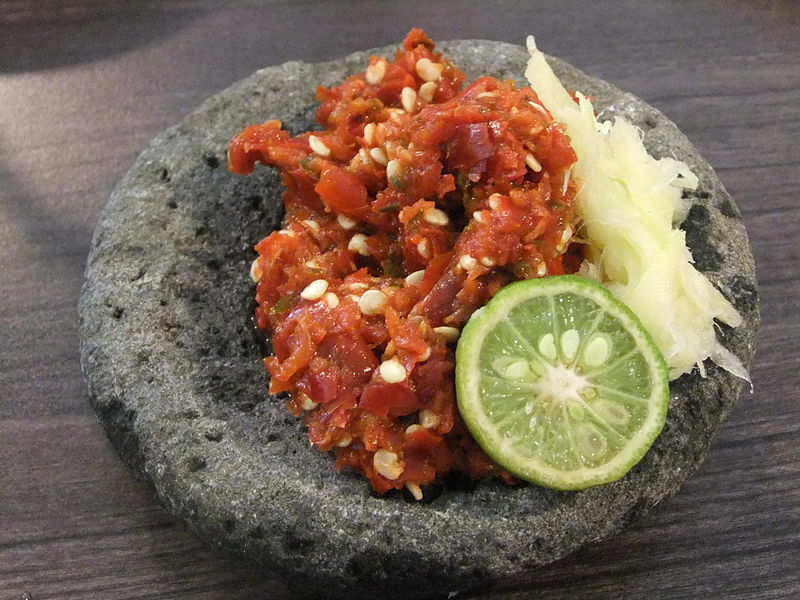 Indonesians love to spice up their meals with this tasty condiment. Each region has its own version but it usually contains a mixture of chilli peppers, shrimp paste, fish sauce, ginger, lime juice and vinegar. Traditionally, all these ingredients are thrown into a mortar and pestle and pounded together to release the flavours. It is the perfect condiment for vegetables and grilled meat and fish. 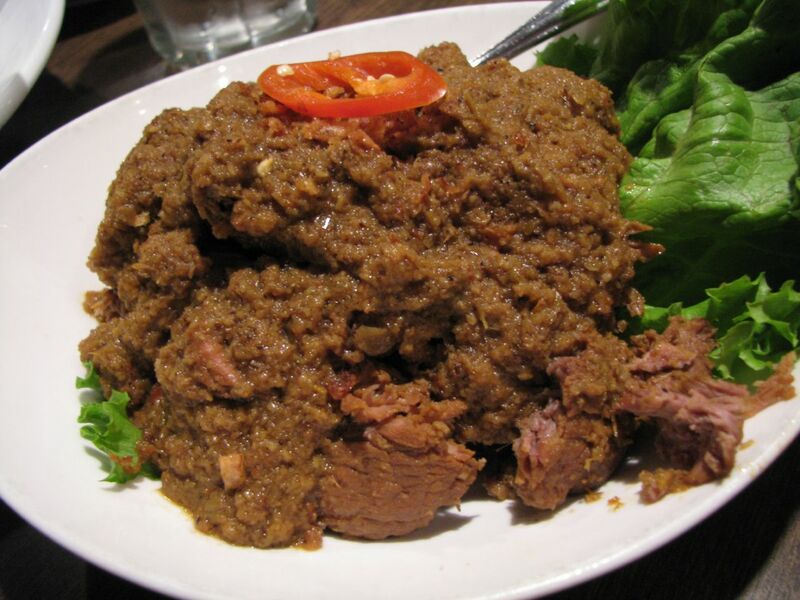 Made with beef, this famed spicy curry originates from the Minangkabau people of West Sumatra, and traditionally was reserved for special celebrations and ceremonies. It takes a long time to make as the beef needs to tenderise in the sauce for several hours before cooking. The coconut-based sauce is rich in spices such as lemongrass, galangal, ginger, garlic and chillis. 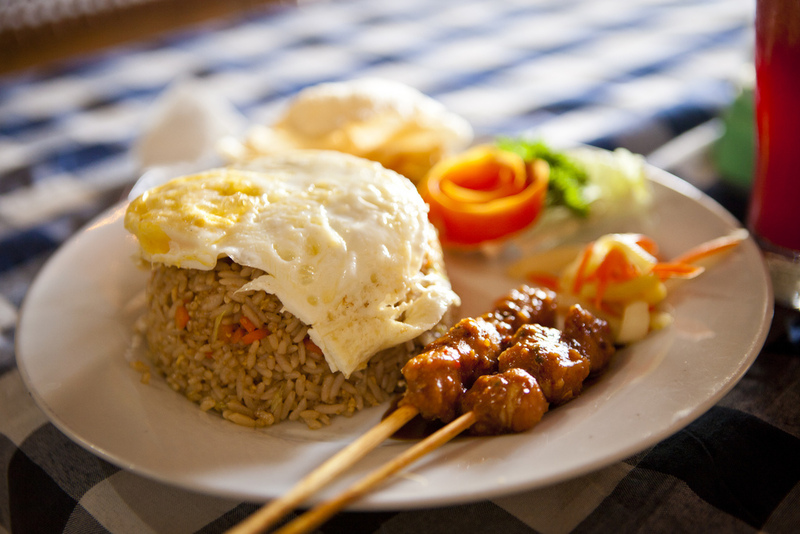 All across Indonesia, woks are sizzling with this delicious version of fried rice. It is the national dish and often eaten for breakfast. The rice is fried with chicken, beef, vegetables or seafood, and flavoured with a thick soy sauce called kecap. It comes to the table garnished with pickled vegetables and often topped with a fried egg. Mie Goreng is a similar dish but with noodles instead of rice. 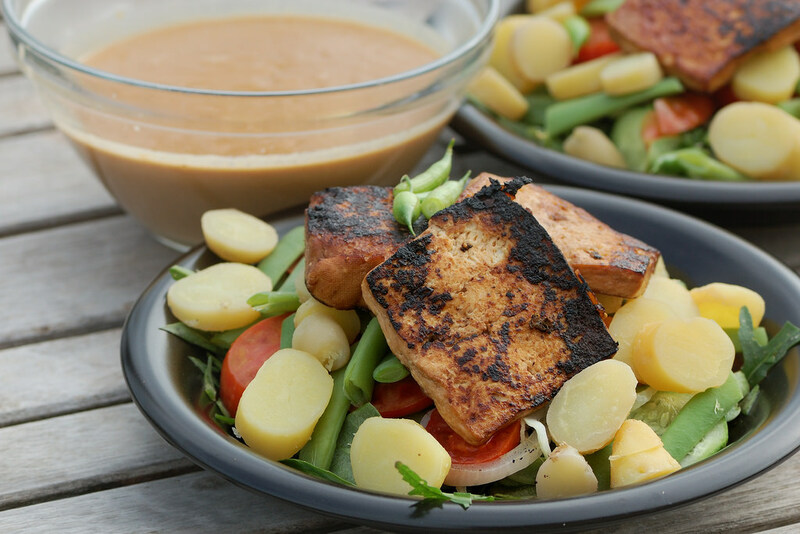 This delicious salad drenched in peanut sauce is a filling and nutritious vegetarian dish. The salad usually contains long beans, spinach, potato, bean sprouts, tofu and tempe. 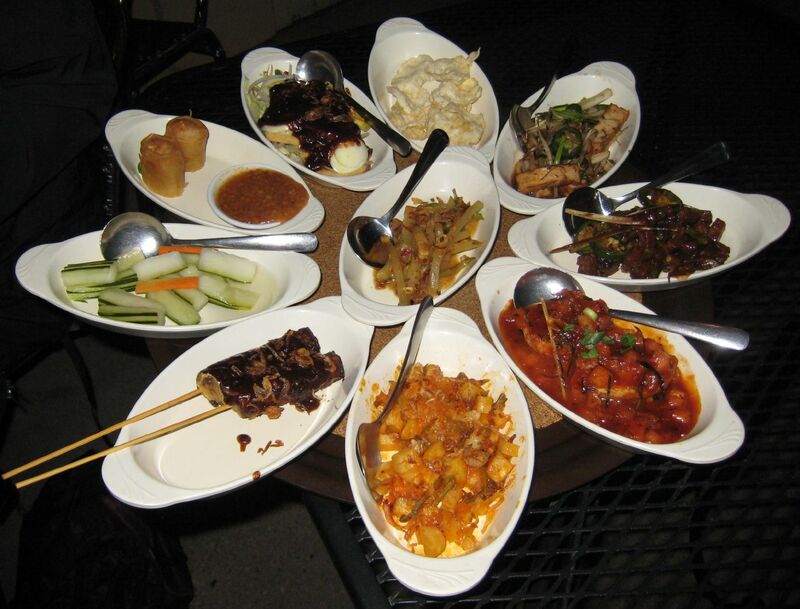 It is nearly always served with Indonesian-style fried crackers. 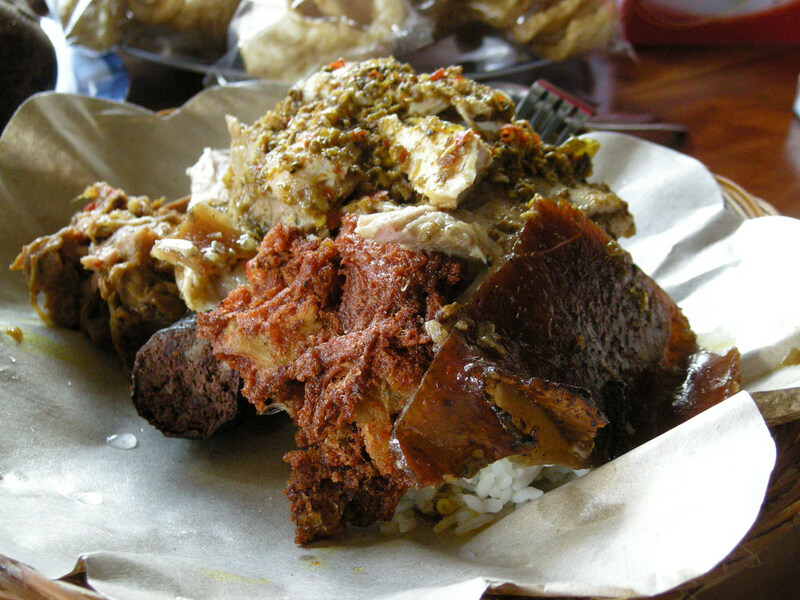 For the best babi guling, or roast suckling pork, head up to Ubud on the island of Bali. An entire pig is stuffed with a cornucopia of herbs and spices and rubbed with chilli, turmeric, garlic and ginger before being roasted on a hand-turned spit over an open fire. The result is tender, juicy, flavoursome meat with crunchy, salty crackling. It’s a decadent meal and not to be missed. This is Indonesia’s version of meat balls and is sold mostly from pushcarts. 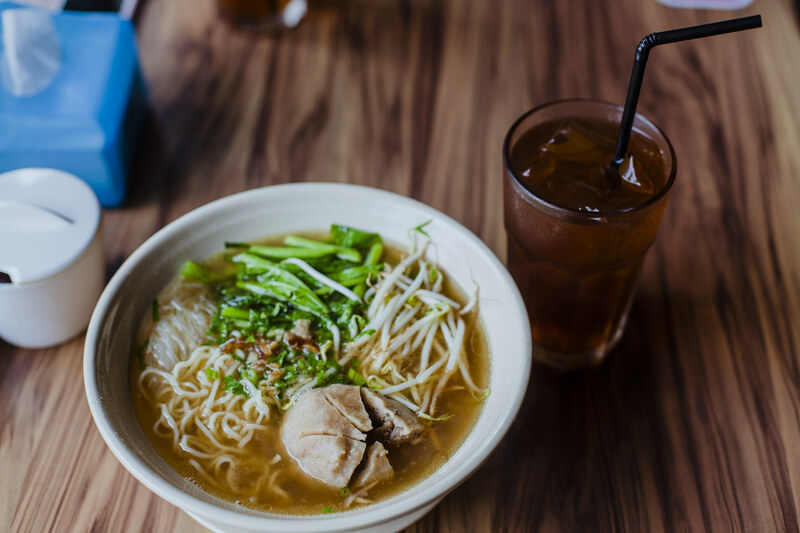 Bakso gained fame as a favourite dish of President Obama. These juicy, bouncy meatballs are made from chicken, beef or pork mixed with tapioca flour. They are placed in a bowl with noodles, vegetables and maybe some fried wontons, over which a steaming, savoury broth is poured. 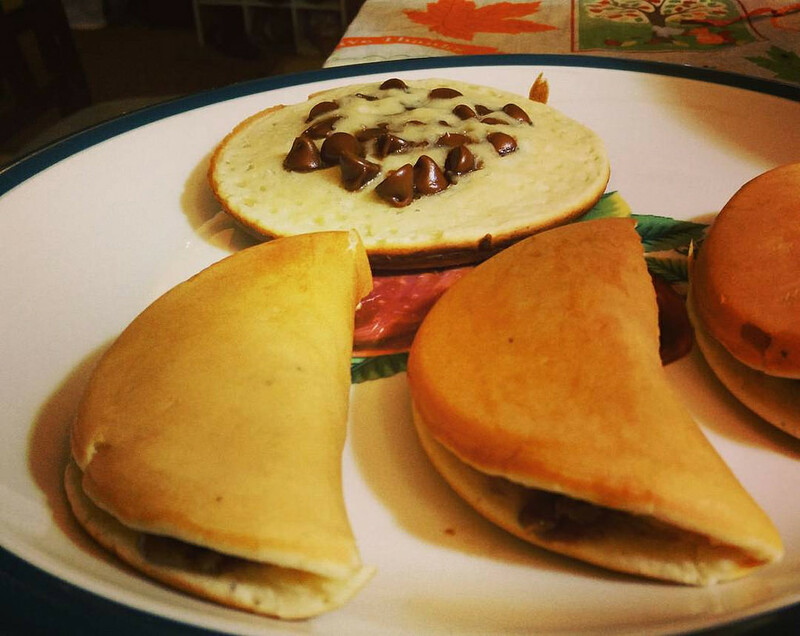 One of the most popular desserts is martabak, the Indonesian version of a pancake. An eggy batter is poured into a pan and then layers of butter, chocolate sprinkles, fresh grated cheese, a drizzle of condensed milk, and peanut and sesame seeds are added on top. As it heats up the mixture starts to bubble, similar to a crumpet. It is then folded over and served hot. 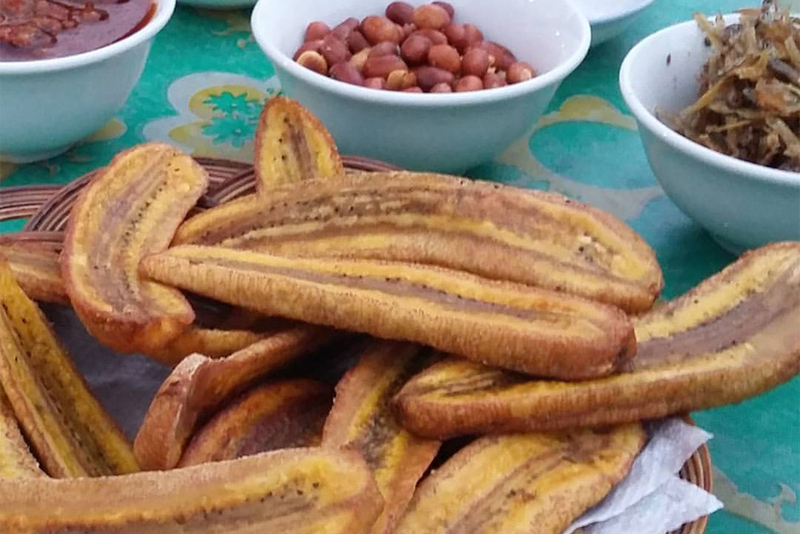 This is the Indonesian version of banana fritters! Bananas are drenched in a flour and water batter and then deep fried. Most traditional street vendors will serve them plain, but in cafes and restaurants various toppings can be added such as chocolate, condensed milk, cinnamon sugar, cheese, jam or vanilla ice cream. Too many dishes to try and not enough time? The Balinese have a solution in the form of a rijsttafel. 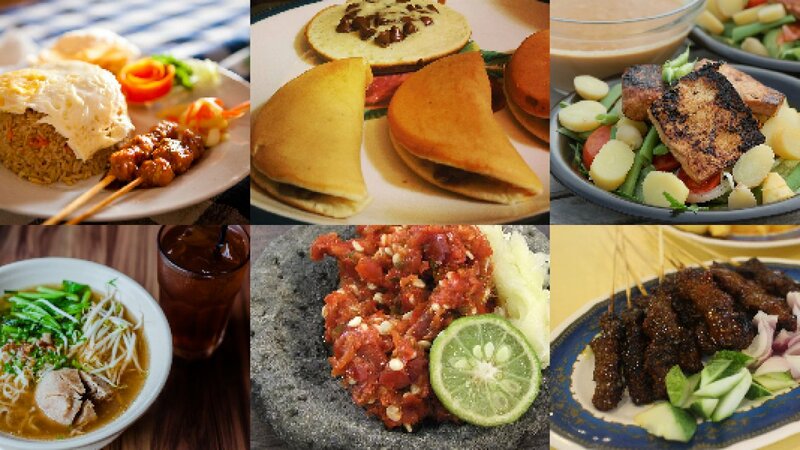 It is basically a feast invented by Dutch colonial plantation owners and consists of small portions of lots of different Indonesian dishes – sometimes up to 40 dishes! 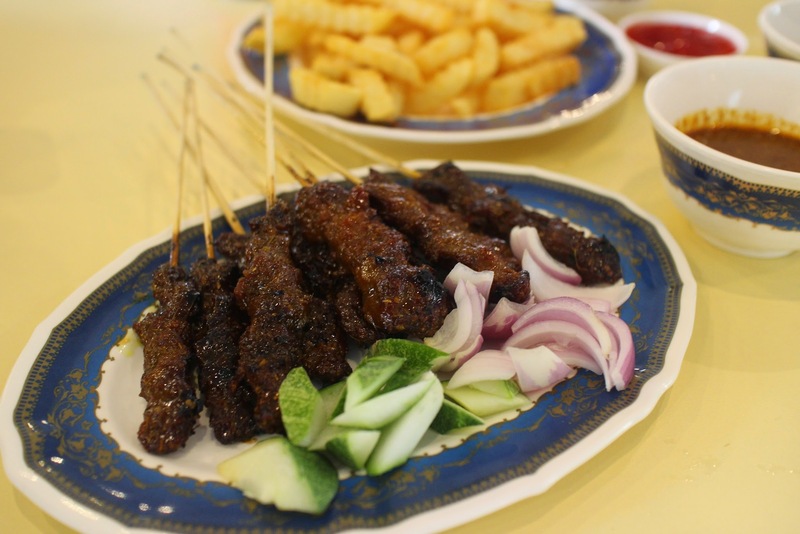 The food usually comes from all over Indonesia but will always feature favourites such as sate, rendang and grilled meats with sambol.